Many women develop growths, known as ‘cysts’, in or on their ovaries. These cysts are fluid-(water) filled sacs (rather like a blister). In some women cysts are completely harmless, requiring little or no treatment. These cysts are ‘benign’, or non-cancerous. Other cysts, however, can be cancerous, which is why a diagnosis is extremely important when ovarian cysts are suspected. Cysts can vary in size. They are normally small, which means that you may not even know you have one until a routine examination picks it up. However, some are large enough to cause menstrual irregularities or discomfort. There are two main types of ovarian cysts: functional and abnormal. These are then broken down into several further types, depending on the characteristics and cause. These are the most common type of ovarian cysts. Many ovarian cysts are due to abnormal cell growth, but functional cysts are different, caused mainly by a slight alteration in the normal functioning of the ovary. There are two types of functional cysts: follicular and luteal, which are named according to the half of the cycle at which they appear. Follicular cysts appear in the first half; luteal cysts appear in the second half. Each month the egg-making follicle of your ovary releases an egg. However, in the case of follicular cysts, the egg is not released and the follicle continues to grow, becoming enlarged and filled with fluid. These cysts can cause few if any symptoms and may only be diagnosed when you are seeing your doctor for other reasons. Normally ultrasound is the form of diagnosis. This type of cyst develops in the second half of the cycle after the egg has been released (at ovulation). As soon as ovulation has taken place in a normal cycle, the ruptured follicle then develops into the corpus luteum which produces progesterone in anticipation of a pregnancy. If the egg is not fertilised, the corpus luteum withers, progesterone levels fall and a period occurs. A luteal cyst is formed when the corpus luteum fails to wither when it should, and fills with blood instead. Pain or spotting at ovulation (called mittelschmerz) can be caused by the release of blood from the corpus luteum when there is a slight drop in oestrogen at ovulation. These are very different from functional cysts because they are the result of abnormal cell growth. This does not, however, mean that they are cancerous. Many cysts are simply benign growths. No one knows for sure what causes this abnormal cell growth. The cysts can remain forever, without causing any problems, or they may burst, requiring emergency surgery. These cysts develop from cells on the outer surface of the ovaries. They can grow to a large size and are sometimes attached to the ovary by a stem. The cysts themselves may not cause any remarkable symptoms, but they can twist on their stems and then rupture, which can be extremely painful, and require emergency surgery. Endometriosis is a condition in which the lining of the womb (endometrium) begins to grow in parts of the body other than the womb. (see section on Endometriosis). These endometrial patches can form on the ovaries, creating cysts known as ‘chocolate cysts’ because they are filled with old blood. Every month during your period these endometrial patches of tissues that have become encapsulated in a cyst will bleed. Because there is no outlet for the bleeding, the cyst becomes larger. Even small chocolate cysts can rupture, although they may grow very large causing severe pain. Dermoid cysts are a very bizarre phenomenon, and are classed as tumours rather than simply cysts. Every one of your eggs has the potential to create another human being, and dermoid cysts are effectively structures that are filled with pieces of bone, teeth, hair and skin. One theory is that an unfertilised egg begins to produce various body tissues. Alternatively, it has been suggested that we are effectively carrying a ‘twin’ inside. It is unknown how or why these kinds of tumours grow. They are solid structures, which means that they are not, technically, cysts, but they can become malignant (cancerous). Many women experience a large number of small cysts in the ovaries, often accompanied by hormonal imbalance. This condition is called ‘polycystic’ (see section on Polycystic Ovary Syndrome ), although technically they are not cysts, but very small egg follicles. Are there any symptoms ? If you have any of the symptoms listed above then it is important that you see your doctor to arrange a check-up. Your doctor will normally perform a number of diagnostic procedures. Before you embark on any natural approach to ovarian cysts it is essential that you have a firm diagnosis. You need to know what type of cyst you have, and its size. Not every health condition can be sorted out with natural remedies, and if you have a cyst that is potentially cancerous, or causing serious problems in your pelvic area, it is sensible to follow conventional advice until such time as the problem is manageable. But consider carefully the medical advice you are given. You may, for example, discover that you have a cyst that has been in there for years without presenting any symptoms. In these circumstances, you may wish to leave things as they are, particularly if you have been given confirmation that the cyst is not malignant. If you are, at any stage, unhappy with either the diagnosis or the proposed form of treatment, get a second medical opinion. I would like to say here that a hysterectomy with the ovaries removed is often the proposed form of surgical treatment, and in the large majority of cases, this approach is unnecessary. Natural treatment is aimed at prevention. A functional cyst may disappear on its own, or you may have been advised to have it aspirated. In either case, the objective is to prevent it from recurring. It’s clear, in the case of functional cysts, that something is awry with your cycle and hormones. Either an egg has failed to be released, and the follicle fills with fluid, or an egg is released and the cyst forms later. In either case, you will need to get your hormones back into balance to stop it from happening again. Herbs and nutrition can help to do this. Furthermore, you will need to work on the health of your liver, to ensure that any excess hormones are excreted. Overall, for either type of cyst, you will need to get yourself into optimum health, so that your body functions well. The supplements recommended below may be useful for ovarian cysts. For best results you should take them over a period of three months, at the end of which you should be reassessed in order to monitor improvements and changes and then adjust the supplement programme according to your new condition. The supplements below will enhance the dietary changes you are making, working to balance hormones, improve immunity, enhance liver function and protect against abnormal cell growth. Some of these supplements are recommended simply because they will encourage optimum health, which will allow your body to function normally. A good quality multivitamin and mineral would form the foundation of your supplement programme to make sure that you are getting a ‘little bit of everything’. You then add in those nutrients in slightly higher amounts which are known to be helpful for ovarian cysts. This is an important nutrient for boosting immune activity. If the immune system is working efficiently, it can destroy abnormal cells, which is important to prevent abnormal cysts. Zinc is also crucial for the immune system, but it plays an additional role in the reproductive system. Zinc is needed for normal egg development as it helps cells reproduce, and it can also protect your body against free radical damage. Free radicals can cause cell damage (to the DNA), so it is important that they are kept under control . The B-complex vitamins are needed by your liver to convert excess oestrogen into weaker and less dangerous forms. B vitamins are, therefore, essential, when you are working to balance your hormone levels. Add a good antioxidant formula to supplement your diet. This should include vitamins A and E and the mineral selenium. Antioxidants helps to protect your cells against damage and any abnormal cell changes. This is an important nutrient for immune function and many women today can be deficient in vitamin D.
The Omega 3 fatty acids can help with hormone balance and it is thought that nowadays we can be getting ten times too much Omega 6 from our diet and not enough Omega 3. The correct balance of these two essential fatty acids is crucial for your health. Other herbs can be used to help balance the hormones, which will encourage the ovaries to function normally. This can help to prevent functional cysts. Echinacea is useful for boosting immune system function as it can increase white blood cell count and activity. These increased levels can help the body to engulf abnormal cells. Echinacea appears to be more effective when taken on a slightly infrequent basis. Take it for 10 days, take a three-day break, and then repeat for another 10 days. This is an important herb for the liver, acting as a tonic. It can encourage the detoxification process, which means that abnormal cells will be destroyed and excess hormones excreted.For more information on which herbs to use for ovarian cysts, see the rest of the Understanding Ovarian Cysts ebook at The Natural Health Practice which you can download. You should not take any of the above herbs if you are taking, The Pill, Fertility drugs, HRT or any other hormonal treatment or other medication unless they are recommended by a registered, experienced practitioner. If you need help in obtaining any of the supplements, herbs or tests mentioned above, click, ovarian cysts options at The Natural Health Practice. They can supply all of them for you online or if you prefer to talk to somebody first you can also order by mail order on the telephone. The products supplied by this company are always of the highest quality. To avoid having to purchase numerous supplements for all of the above and to make the process easier, I have put together a supplement programme which contains all the nutrients mentioned above and in the correct dosages. For more information about these click Ovarian Cysts Supplement Programme. In my book ‘The Natural Health Bible for Women’ I explain the impact of nutrition on ovarian cysts and also give in great detail a list of the most important nutrients and herbs required in order to help you. If you would like to order these special supplements now, you can do so through the Natural Health Practice by clicking Ovarian Cysts Supplements at the Natural Health Practice. The tests below have been specially selected to be the most helpful if you are concerned about ovarian cysts. The section above forms part of a larger complete e-book on Ovarian Cysts. In the rest of the e-book you will learn what the medical approaches to ovarian cysts are and how to combine them with the natural approach. This is called Integrated Medicine and is the way that healthier of the future is moving towards. You will also learn what medical tests will give you an accurate diagnosis of your condition and if you really need to have them. The medical treatments for ovarian cysts are then examined which can include looking at either drugs or surgery. Each treatment is then discussed and the pros and cons of the options explained. The Integrated Approach to ovarian cysts is considered in some detail so that if appropriate you can know how to combine the best of both conventional and natural medicine. 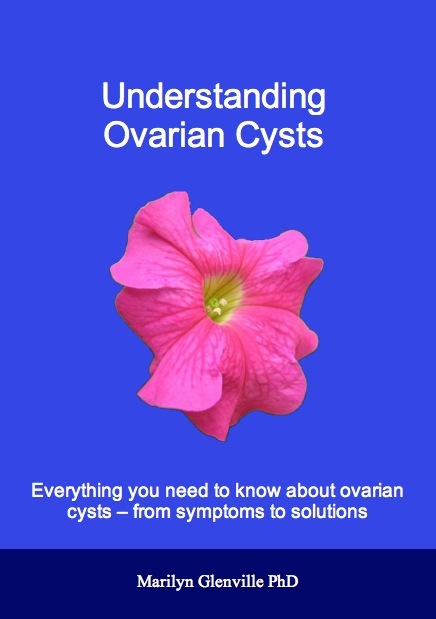 If you would like to read the rest of this ebook click, Understanding Ovarian Cysts ebook at The Natural Health Practice and you will be given details of how you can download the whole ebook. 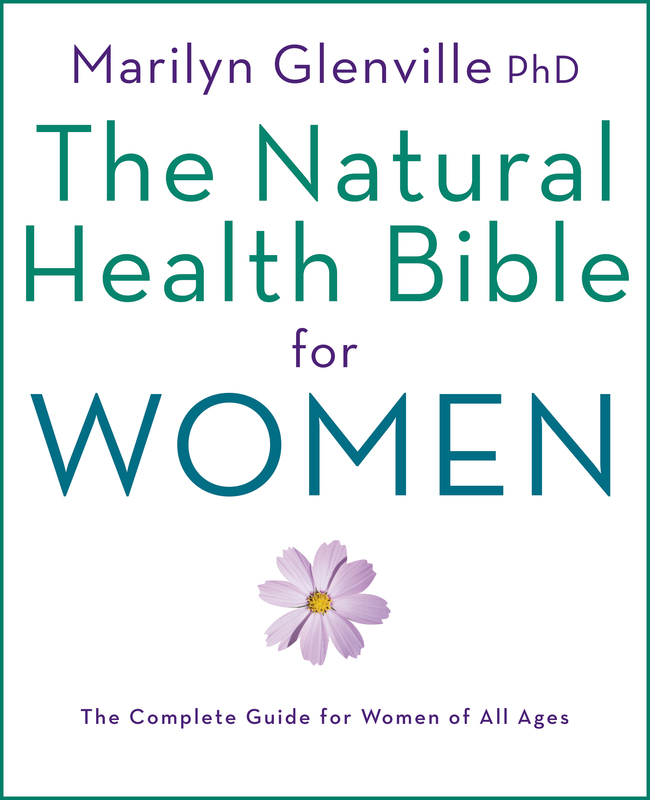 Or if you would like even more in depth advice about Ovarian cysts then read ‘The Natural Health Bible for Women’ book – An international best seller.